EXCEPTIONAL KILIMANJARO NATURE TOURS SUCCESS RATE AND EXPERIENCE. Climbing Kilimanjaro has more than 7 years of experience in leading hikers towards the summit of Mt. Kilimanjaro. Our experienced guides have a proud summit success rate of between 95% – 98% and have safely guided a lot of clients to the top of the mountain. The majority of our professional Tour Consultants has made successful summit attempts and is therefore in a position to provide you with in depth advice and first-hand knowledge of the mountain. Essential advice on how to climb Kilimanjaro, as well as details regarding the level of difficulty and the duration of a Kilimanjaro climb, is covered in detail on this website. We are flexible in providing unique and tailor-made Kilimanjaro itineraries to suit individual preferences and requirements, such as hotel bookings, meet and assist at the airport, airport transfers to and from the relevant hotel, as well as many exciting travel extensions to the surrounding game parks and/or the magical island of Zanzibar. 1 – Locally based company, with the know how and field experience of the Tanzanian and the western sensibility of a European. 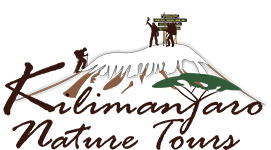 2 – Provide: We do our best to bring the prices of private Kilimanjaro climbing trips & safaris down close up to group safaris prices. Having a shared safari is a great way to meet new people and save some money, especially if you are traveling alone. But we believe that people who want to do the safari alone don’t have to pay a fortune to do it. When a safari is private, we are completely flexible. We can change any program in any way the customer may want to, accommodate last minute changes, etc. 3 – Dedication: Even though we have grown from a small company to an established one, we still put all our effort and love in each Climbing trips and different safari. A climbing trip and safari is a violent experience, sometimes things can break, plans can change. But you will not find a company that will work so hard for you to make sure you have a fabulous and an experience as smooth as possible. 4 – Our guides: defiantly to most companies, our guides are paid fair salaries and become an active part of our project, always welcome to propose changes and improvements. These makes they work with more joy and pleasure. All our guides have many years of experience, some of them having worked for high-end companies in the past. 5 – Customer Support: When you contact our customer support, you will not be speaking with any office staff that has no idea of whom you are, you will be always speaking directly with the directors of the company, who know everything about your climbing & safari and are working hard for you making sure your expectations are met and exceeded. We have a responsiveness and attention to your emails that is unrivaled in this industry, and you can expect an email to be answered in just a few hours, sometimes just minutes. 6 – The food! All our cooks attend cooking courses in Tanzania and have a high budget to spend on the safari food. The result? Fantastic food while doing the safari. 7 – Equipment: Only very few high end companies provide good binoculars to their customers. Most provide none or have just very small and simple ones. With Kilimanjaro Nature Tours, you are guaranteed to be provided with high-end, large and expensive binoculars (Nikon and Olympus) which will make a huge difference in the quality of your safari and your overall satisfaction. Luck plays a major part in a safari but there will be several moments when you will only see animals from far away (for example, a leopard eating a gazelle on the top of a tree, far away). With the binoculars we provide, you will be able to bring the animals very close to you, with such a crystal clear image that you just forget you are using them. 8 – Camping conditions: If you are doing a camping safari, you will be happy to know that all our tents good tents, Mountain hard ware tents. They are really good, resistant and don’t allow any light in. In some national parks (for example, Lake Manyara or Tarangire National Park), we don’t stay in the same campsites most companies stay. We stay in tented campsites which already have their own tents installed. These tents are huge (you can stand up inside them, and they have real beds (solid, wooden beds) inside them so your comfort is drastically increased). Even in other campsites like the ones in the Serengeti or Ngorongoro, for a small extra fee, we can arrange large tents and afordable beds. 9 – Support to local communities: By enriching our safaris with cultural activities, we are able to give some of the tourism benefits to the local villages. Besides, 5% of our profits go out to help giving an education to many children in a village 40k away from the urban areas. 10 – Our prices: Last but not least, we operate with some of the best prices in the market, especially when it comes to private Climbing trip and safaris. It is possible to find cheaper agencies as there are certainly many cut-price companies operating, but we operate a fair-traded policy where we employ only qualified local staff and pay them above average rates and we do not compromise on vehicles, park fees, equipment and services, besides providing above average equipment to our customers.